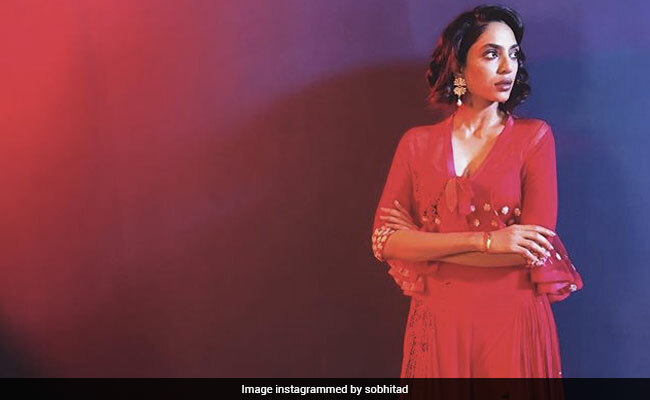 Made In Heaven Actress Sobhita Dhulipala Is Breakout Star Of IMDb, She's "Thrilled"
Sobhita Dhulipala said: "It is certainly very thrilling to be given so much love and appreciation"
Fresh from the success of web-series Made In Heaven, actress Sobhita Dhulipala has come into the spotlight, and her newfound popularity has led her to become the 'IMDb Breakout Star of the Month'. The actress has entered into the Top 15 most popular Indian actors on the IMDb STARmeter, based on data from March 2019. It is decided on the number of page clicks on the leading global movie website. "It is certainly very thrilling to be given so much love and appreciation from the audience and critics," Sobhita said in a statement. "Finding that people are searching for my name and work on IMDb, which is the biggest data base for movies and celebrities in the world is immensely special and motivating," she added. Sobhita started her journey in showbiz by getting attached to projects like Raman Raghav 2.0, Telugu film Goodachari, Chef and Kaalakaandi. But found fame by playing the complex role of Tara in Amazon Prime web series Made In Heaven. While Tara herself is trapped in an unhappy marriage, she is seen helping people get the wedding they always dreamt about, while solving obstacles. The show, by Zoya Akhtar and Reema Kagti, also touches upon issues like infidelity and struggles people of the LGBTQ community face in India. The second season is already in the works.